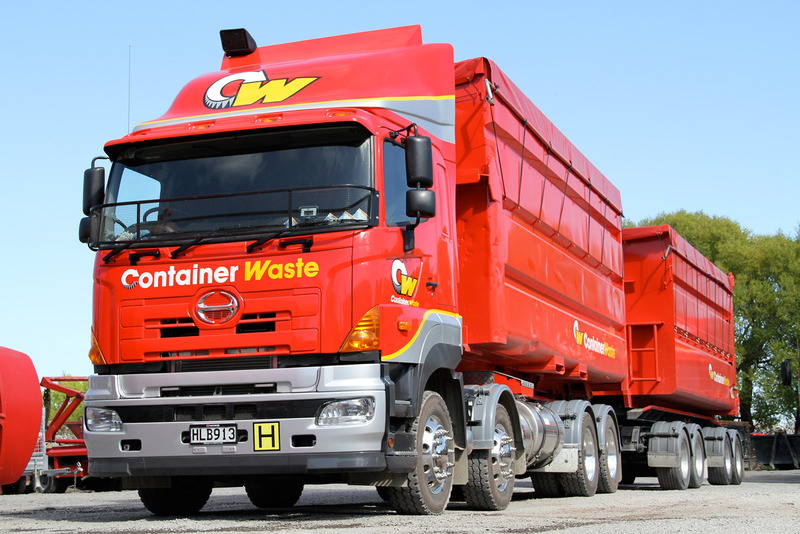 THE CHRISTCHURCH REBUILD has guaranteed a busy workload for local firm, Container Waste Ltd. Owner Darryn Harris says the independent commercial and domestic waste specialist has grown around 50 percent in the last couple of years due to the increasing demand for its services. The Christchurch firm is an expert in carting “special waste” to landfill such as asbestos, industrial chemical waste that has been neutralised and converted to sludge, and out-of date food and beverages. “Special waste is the bulk of what we cart to landfill. If it looks bad, smells bad, or is bad, we can deal with it,” says Harris. Container Waste has a range of bins and containers specifically designed for the various types of special waste, which it delivers to clients’ sites. Once loaded, the company collects the bins and transports them to landfill. Our International Featured in NZ Truck & Driver Magazine!